Requires the player to reach Tier 100 in Season 6 Battle Pass. 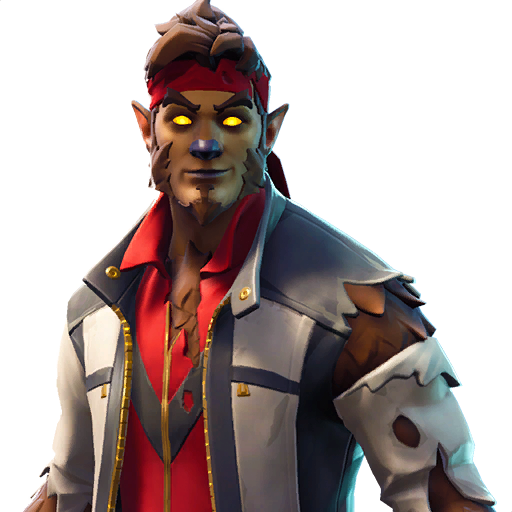 The Dire is a legendary male outfit for the Season 6 of the game Fortnite Battle Royale. 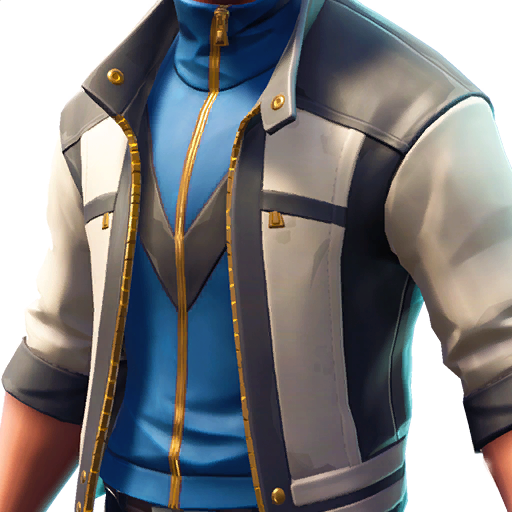 It is the top outfit that is awarded to the player for finishing the Season 6 Battle Pass and reaching the tier level of 100. 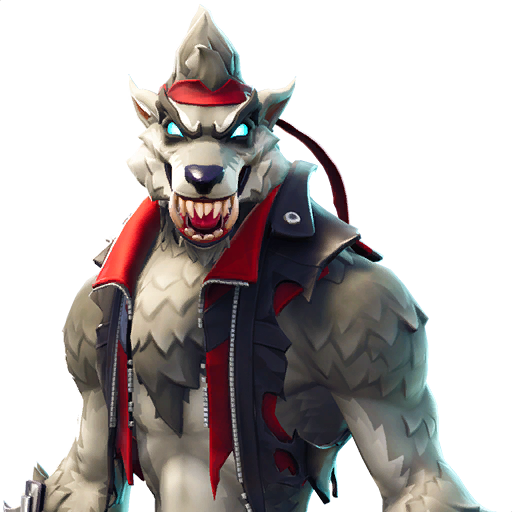 The Dire is among the few outfits with unlockable styles. Using this skin do not provide any additional function or have any benefit or effect to the player, except aesthetical. 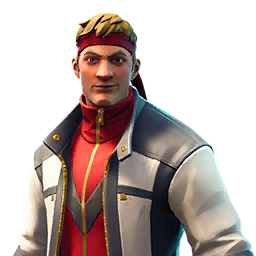 The Dire legendary skin features a brown-haired male wearing a red sweatband and red undershirt, with a cool black and white jacket. Initially, this outfit looks like any other uncommon or rare rarity outfit. However, the outfit features some unlockable styles that transform the character into a monstrous werewolf. 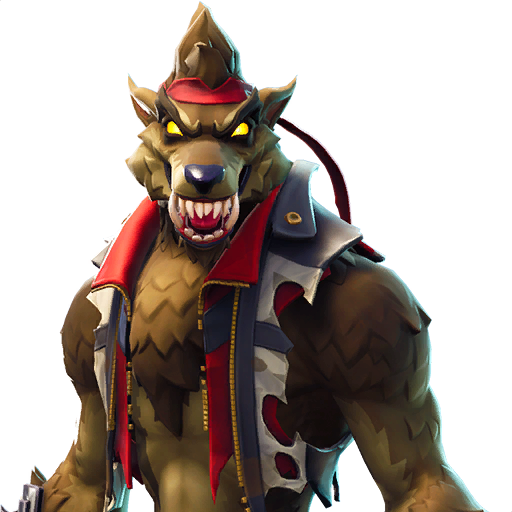 Unlike the other skins with a linear progression on their unlockable styles, this skin features the same werewolf model but with different colors of skin. This legendary outfit is part of the Full Moon Set. There is 1 cosmetics item in the Full Moon set, check the list below to see which items are included. 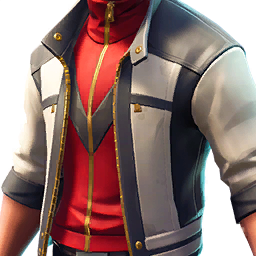 This outfit can be unlocked at level 100 of the Season 6 Battle Pass. The unlockable styles can be obtained by gaining enough experience while using the skin. 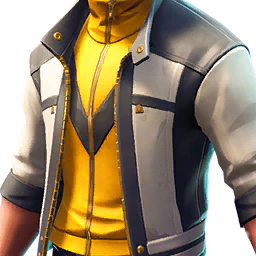 To obtain this outfit, you must first purchase the season 6 Battle Pass and reach the final tier of level 100. 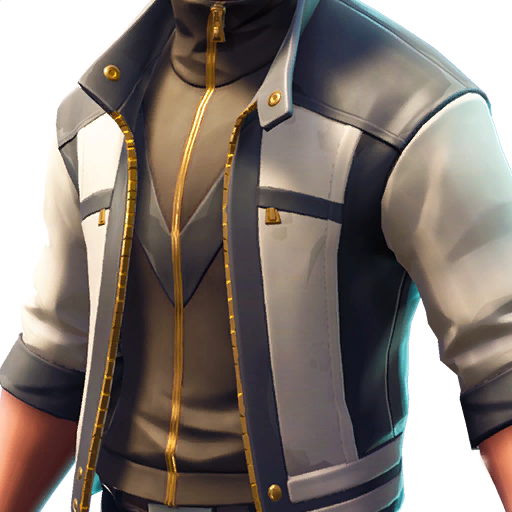 This skin has 10 selectable styles that can be unlocked in-game, check below. Part of the Full Moon set. 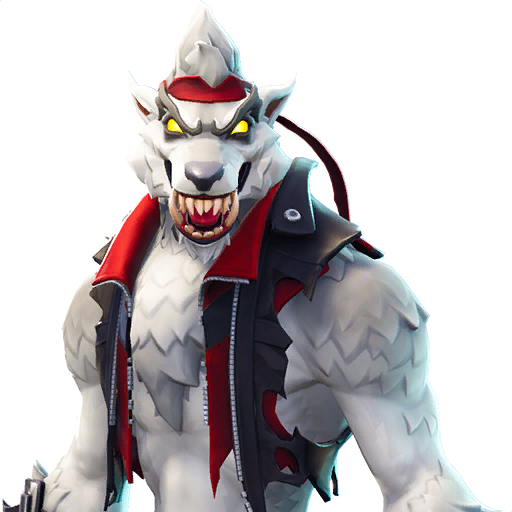 Dire high-quality PNG images with transparent background to use them as you wish (YouTube thumbnails, skin concept and so on).